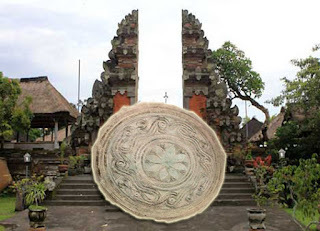 Penataran Sasih Temple is a cultural preserve in the presence of a prehistoric Dong Son Drum in 300 BC. Where, Nekara or Dong Son Drum is made of copper. 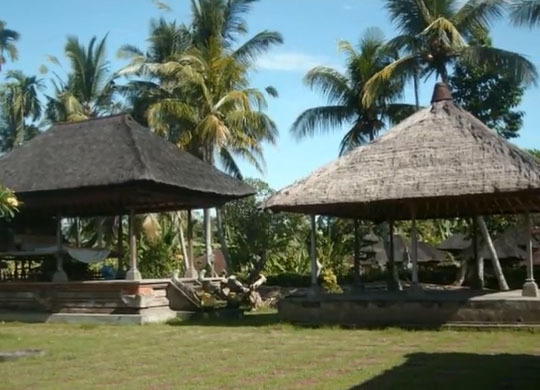 Located in Pejeng Traditional Village, Gianyar Regency, Bali. The traditional pejeng village is located between two rivers, namely to the east of Pakerisan River and to the west of Petanu Temple. The island of Bali is famous for its uniqueness. The title as the island of the gods is indeed being carried. At each corner there are many temples of sacred places that reflect the symbol of the worship of angles to various manifestations and their functions according to the existing values. The livelihoods of the local community are farming, trading and employees. This can be seen from the large number of rice fields along the road to this temple, as well as busy traders selling right across the road to this temple. The number of food and beverage stalls, souvenir shops and parking areas that are across the road from this temple, makes visitors who come to this temple feel comfortable because they can relax for a moment after entering this temple. This one of Ubud & Gianyar Temples tours area, Penataran Sasih Temple is approximately 26 km from Denpasar Bali, and if you want to visit this temple, you only need about 50 minutes to get to this place.